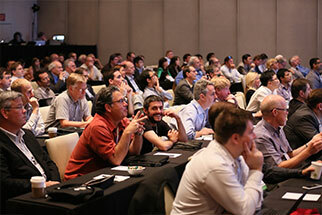 SMPTE 2016 conference sessions will address topics including ultra high definition TV (UHDTV), high-frame-rate (HFR) imaging, and wide color gamut (WCG); color management; file workflows and formats; broadcast and IT-based networked media infrastructure; cloud media architectures; new distribution modalities; security; display technologies; audio; new cinema technologies and formats; image processing; asset management and storage; virtual reality (VR); compression; and diversity in the media workforce. The customary conference and exhibition schedule has been optimized to include the usual wealth of technical sessions and networking opportunities, as well as an array of special events celebrating SMPTE’s centennial anniversary. The SMPTE 2016 Symposium is titled “The Future of Storytelling and How to Save It.” Andrea Kalas, president of the Association of Moving Image Archivists (AMIA), is the program committee chair for the daylong event, which will offer a look back at the technologies that have supported content creation and storytelling and then move into an exploration of current technology innovations and their potential impact on storytelling as well as the preservation of those stories. The Symposium is included with select conference packages or as an add-on or stand-alone registration. SMPTE and Hollywood Professional Association (HPA®) Women In Post present the Women in Technology Luncheon, which provides guests the opportunity to discuss ways to increase diversity in the technology workplace. Tickets are available for purchase as an add-on with conference registration or as a ticket-only purchase. The SMPTE Honors & Awards Ceremony will welcome registered guests on the red carpet and treat them to a poolside reception following this annual event honoring industry leaders. Tickets are available for purchase as an add-on with conference registration or as a ticket-only purchase. Day One of SMPTE 2016 technical conference sessions will feature the opening keynote. The Fellows Luncheon, open exclusively to SMPTE Fellows and Life Fellows, will honor the industry leaders newly elevated to Fellow status. SMPTE Fellows, who wish to attend, should select tickets with their conference registration. The SMPTE Annual General Membership Meeting is open to all conference attendees, and no ticket is required. The Welcome Reception in the Ray Dolby Ballroom Exhibit Hall is open to all attendees, and no ticket is required. Day Two of SMPTE 2016 technical conference sessions are scheduled to extend from 8:30 a.m. to 4 p.m.
An Oktoberfest-themed reception in the Annex Exhibit Hall is open to all conference attendees, and no ticket is required. The SMPTE-HPA Student Film Festival will highlight the creative use of technology to support the art and craft of storytelling. Screenings will showcase outstanding short films submitted by students from around the world. Tickets are available as an add-on with conference registration or as a ticket-only purchase. Tickets are free for students, and a donation to the SMPTE Education Fund is suggested for other attendees. Day Three of SMPTE 2016 technical conference sessions are scheduled to extend from 8:30 a.m. to 5:15 p.m. The fifth annual SMPTE Jam will feature a diverse group of SMPTE members playing popular hits. Additional details on this year’s event are forthcoming. The SMPTE Centennial Gala will take place in the evening, hosted in the Ray Dolby Ballroom. As a courtesy, conference attendees may purchase individual tickets an add-on to conference registration. Upgraded ticket packages and full-table purchases for the Centennial Gala will also be available separately.